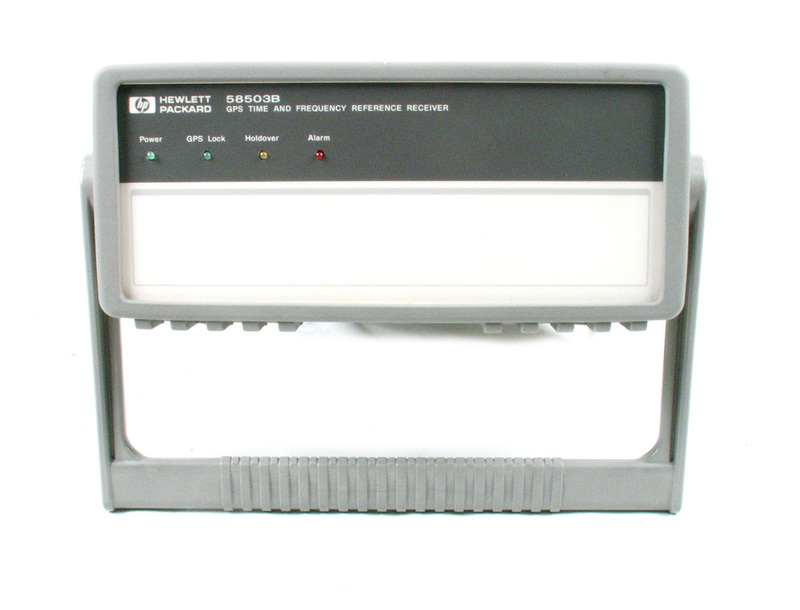 The HP 58503A GPS time and frequency reference receiver is a high quality source of precision time, time interval, and frequency in a lightweight compact package. The high-performance 58503A ensures excellent accuracy and reliability, the 58503B delivers precise time and frequency virtually anywhere in the world at an affordable price. When locked to the GPS signal, the 58503A provides a 10 MHz signal with an accuracy of better than 1x10,12 using a 1 day average. A 1 pulse per second (1 PPS) signal with timing jitter of <750 ps rms is provided. Time accuracy relative to GPS of 20ns (1 Sigma, typical) can be obtained once the unit is properly installed and all systematic offsets have been compensated out. If the GPS signal is interrupted, the 58503A enters an intelligent holdover mode, which ensures frequency is maintained to better than 1x10,10 per day (phase accumulation <8.6 µsec after 24 hours). 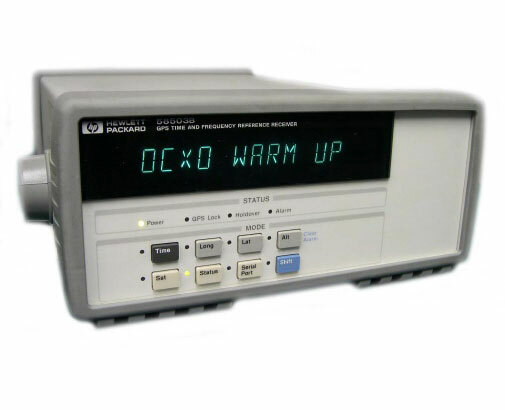 Note - This instrument is a usable frequency standard for the 10 MHz and 1pps outputs, however due to the epoch rollover of 1999, it cannot be used to display real time information - i.e. year, date, hour, minute, second. Therefore, this unit should be only purchased for use as a frequency standard, not a time clock.